A breathtaking diamond emerges from the captivating balance of sparkle and fire. Luminus diamonds are hand crafted to perfection to deliver a masterpiece that is unparalleled in beauty. Our state-of-the-art technology enables us to transform premium rough stones into an array of loose cut diamonds that define new benchmarks in diamond excellence. Our mastery lies in procuring and polishing round cut, radiant cut and cushion cut diamonds. Limitless light was conceived in the pursuit of honourably reflecting your life’s meaningful sentiments. A Luminus diamond is the perfect adornment for moments that withstand the test of time. Our skilled diamond experts are well-equipped with the latest technology and know-how to treat every piece of diamond with the right amount of care and conduct. We strictly adhere to our proprietary manufacturing practices. All Luminus stones have undergone thorough examination by the latest in SarineTM technology; worldwide leaders in evaluation and grading systems for diamond and gemstone production. We guarantee that all Luminus loose diamonds are IIDGR certified. 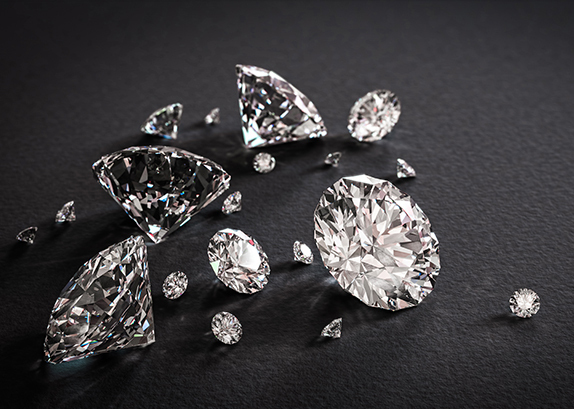 When you purchase IIDGR certified diamonds you will be provided with a lab report and certification for each stone that they examine and grade. Copyright 2019 Luminus Diamond All Rights Reserved.